As your QuickBooks Product Experts, we have discovered a hidden discount opportunity that many customers are not aware that it exists. Let’s talk “Bundling,” shall we? A perfect example of bundling is the Cable company. If you just buy the cable package you pay high rates, but by bundling the telephone and internet with your cable plan then you save a huge amount rather than paying separately for each. For desktop financial software, the options are: QuickBooks Pro, Premier or Enterprise. 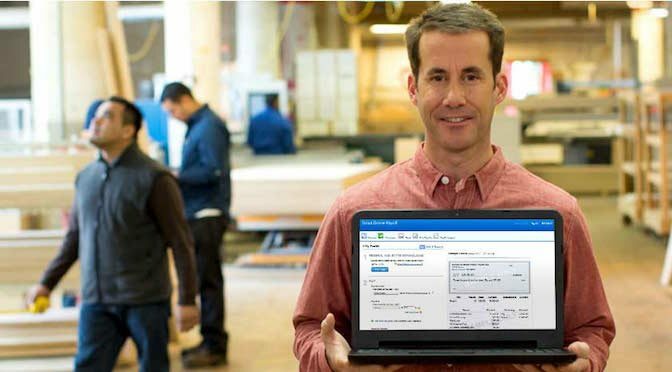 Pro & Premier are for companies just starting out and QuickBooks Enterprise is designed for growing Small businesses. Compare versions here for more information. QuickBooks Enhanced payroll is the “Do it yourself” integrated payroll option to process payroll right inside of your QuickBooks financial software. This option requires you to make your own tax payments, file your own quarterly & annual payroll tax returns. If you want those tasks done for you, ask about us QuickBooks Assisted Payroll. Enhanced Payroll, alone is $45 per month plus $2 per employee per month. Did you know that Enterprise GOLD edition now includes ENHANCED PAYROLL? The picture above is a great explanation of what each Enterprise edition offers. The price difference between each edition is about $20 Per month. By including Enhanced Payroll in your bundle, there are no EXTRA FEES, and direct deposit is FREE! They were required to upgrade to the latest version of Premier. MSRP $499. They complained that their performance was super slow. We found theirs has a file-size that was more than double what is recommended for QB Premier. They were paying $115 per month for their Enhanced payroll subscription with 35 employees. 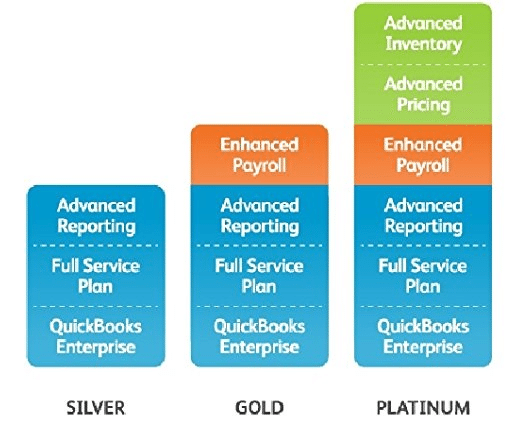 Our Recommendation: QuickBooks Enterprise 1 user Gold Edition. $1,044 per year. For LESS than what they were paying for JUST their payroll subscription and fees of $115 per month, they migrating to QBES Gold for only $1144 per year, and they saved $499 on a software purchase! Also, as an extra benefit, they noticed a significant improvement in their performance. As part of the migration process, we were also able to get them a refund for their unused prorated portion of their annual payroll subscription. QB Payments available for no monthly fee!